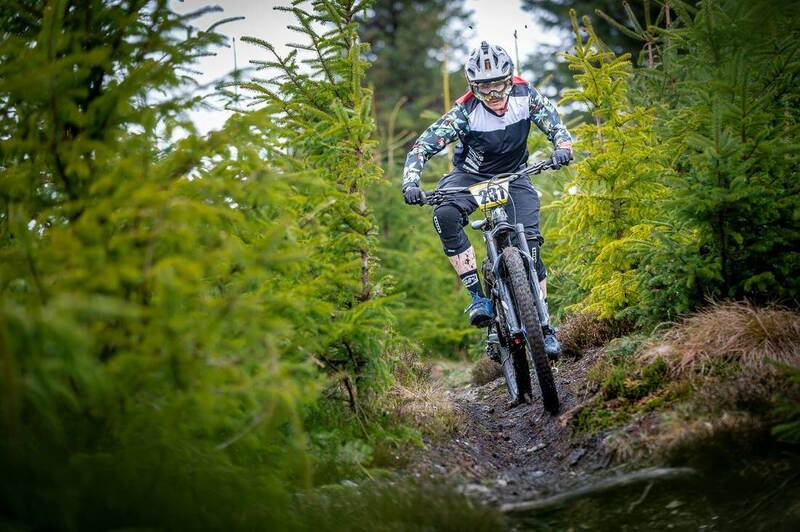 Founded in 2011, the Gravity Enduro Ireland series is the original national Enduro series in Ireland with events taking place around the country. The format is relaxed and fun; with no transition times you can start the event in any order so it’s the perfect combination of competition and a great day on the bikes with your mates. It’s a two day event with optional practice on Saturday and the race only on Sunday. The course is approximately 25km long and each venue has its own unique terrain and challenges. There are 5, mainly downhill, stages running simultaneously and the person with the lowest accumulative time is the winner. Picking up 1st place here’s Michelle’s race report. You know the race season has really kicked in when its Round 1 of the Gravity Enduro Series! !​ The first round of the 2018 series kicked off this weekend with a real summer vibe! Clear blue skies and warm sunshine for practice day, it was a far cry from what we have been used to all winter! However, it still wasnt enough to dry out some sections the harsh winter we had exposed lots of new roots, carved out the gullys and ruts to make it a challenging race for everyone. I’ve raced almost every round since Niall Davis and his Biking.ie crew began the series over six years ago in 2012, and the atmosphere, chilled out vibe and friendly faces of this series has never changed. In fact, this was a particularly special race for me as well as the other women who have been on the enduro race scene from the start, as the number of women racing this round was a record. Never before has there been more than 16 or 17 women at an enduro, so with 28 women signed up, enough to have two categories – Pro Women and Open Women, it was a fantastic boost for Enduro and for women in mountain biking. With my brand new (bloody gorgeous may I add) ION Rascal shoes and ION gloves, my new DHaRCO race jersey and Ride 100% goggles, I was feeling great : )!! So I was bound to feel good on the bike too right?! I finished the day on stage 5 and after 4 hours on the bike, 26km done, I was glad to get back to my van to chill out in the afternoon sun and eat a ton of food! I set off at 9.30am with the seeded riders and although feeling exceptionally good, I tackled the roots at the top section of stage 1 a little too cautiously. Although I had a clean stage, I missed out on the stage win by a second! It just goes to show, every second really does count! Now with stage one out of the way, it was time to really race and put the pedal down. I pushed hard for the rest of the day, not leaving anything in the tank on the pedally sections and trying to ride the technical sections smooth while keeping my flow. It paid off, as I went on to win every stage from then on which was so unbelievable cool and a real pay off. It was a real belter of a race put on by www.biking.ie and as always a super weekend full of laughter, craic, and of course absolutely brilliant racing! I was delighted to take the win in Pro-Women with a time of 28.34, putting me in a decent overall position of 88 out of 283 riders.